Chicken (Whole) - Fryer 3 lbs. to 3.9 lbs, in weight. Our chickens raised for meat spend their days lounging in the shade of their portable pasture shelters that we move daily, giving them a buffet of fresh grass and insects; but also providing them with protection from predators like hawks, owls, foxes and coyotes. Sunshine, fresh air, exercise, fresh greens, bugs and good feed produce the highest quality chicken! 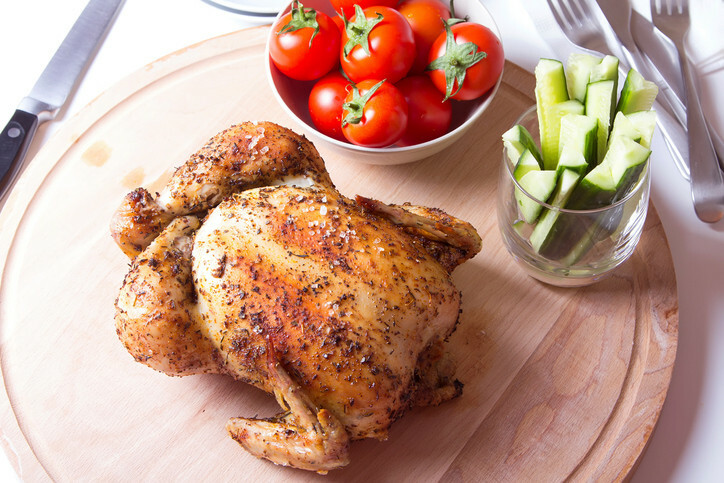 The whole chicken is our staple product and traditional favorite among households who are serious about eating healthy and saving money! Leftover parts are ideal for making soup stock.